December has well and truly been a whirlwind, with Christmas literally around the corner. One minute it was time to get excited with opening the first advent calendar door and now, it's only a few days away. By now, most people have finished work and can get into the festive spirit, but if you are one of those people that still have gifts to get loved ones for one reason or another, we may have a couple of ideas to help inspire you. When it comes to getting gifts for loved one, I always think that you don't really have spend a lot of gift to make them good ones. I really love the idea of homemade gifts, it means so much more that you have gone to a great effort to create something from scratch to give to someone. They are great because you can tailor them differently for each person and they can also really show someone that you're thinking of them at this time of year. 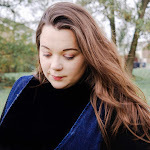 So If you're struggling but still want to give lovely presents this Christmas, I have been putting together some ideas that you can create yourself. Let's start with all the edible treats, after all it is Christmas. 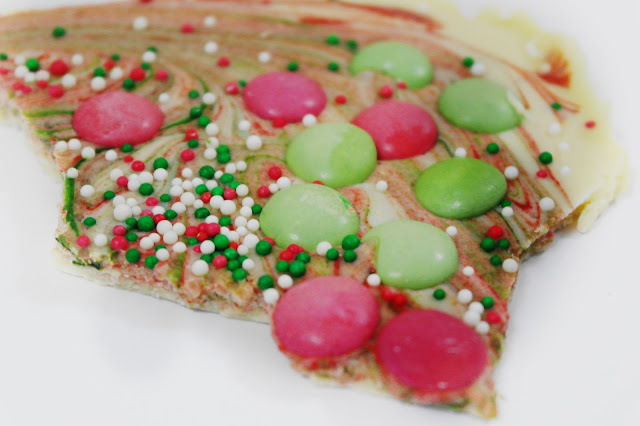 I made this Christmas inspired chocolate bark the other day and it was ridiculously easy. Really, isn’t it pretty and incredibly festive looking? Can you melt chocolate? Sprinkle some Red & Green Smarties and Sprinkles? 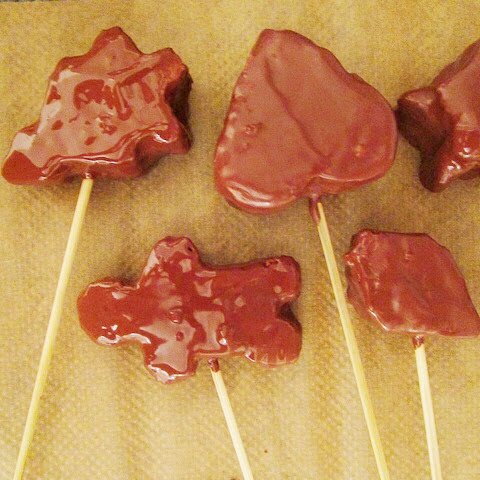 So many people will love this edible bark, and it is super simple. Break up some chocolate and melt, we use three 150g bar of white cooking chocolate. Pour the chocolate into a baking tray that has been lined with baking paper. Drop red and green food colouring in to the chocolate and mix using a chop stick. Scatter some red and green smarties and christmas sprinkles into the melted chocolate. Pop the tray into the fridge and then set overnight. 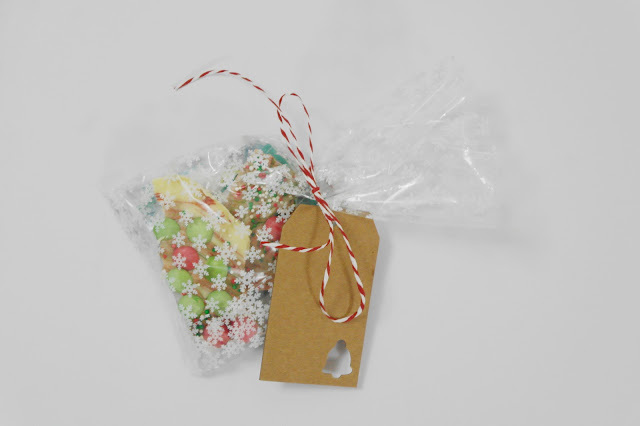 Then break these into pieces and pop into a small cellophane packet, we also added some personalised tea bags too and tied some red and white twine with a gift tag. Perfect home made gift. How amazing do these truffles look? These would also make an ideal gift wrapped in cellophane and tied with some ribbon. T make these in a saucepan heat 100ml double cream and 30g butter until simmering. Pour over 200g dark chocolate chunks and stir until melted. Mix in 100ml Bailey's and transfer into a 8" square Pyrex dish or equivalent. Allow to set in the fridge for a couple of hours. When set shape into balls. With a melon baller scoop small amounts of the truffle mixture into a ball. Roll in cocoa powder and repeat until all the mixture is used. Start off by separating the egg white and whisk until frothy. Add the green food colouring and whisk through. Then sift in the icing sugar. This should form a kind of dough. If it is too stiff add a drop of water. Too runny then add a bit more icing sugar. Roll into small balls and press down on some grease-proof paper. Leave to dry out overnight. Once dry, melt some dark chocolate in the microwave and dip the peppermint creams in. Boom! How about some German Gingerbread, one of my all time favourite Christmas indulgent treat, that's for sure. With the gorgeous aroma of Ginger from this recipe, I'm sure that any one would love to receive this home made gift. To make them even more special you could wrap then in cellophane with some ribbon to make the gift everyone wants to receive. For the one that love homemade indulgent pamper treats! This simple recipe for Rosemary and Peppermint Foot Scrub ticks every box. It is super quick, super easy and super cheap to make, and the resulting product is a real treat that everyone will appreciate and use.After all, everyone's feet will benefit from a little tender loving care, and if you do know someone with perfect feet, you can be sure they are spending plenty of time (and money) keeping them in that condition! This recipe is endlessly adaptable; you can use Epsom salts, sea salt, sugar or a mix. You can use any number of oils and fragrances, and you can add in dried herbs or fresh. I imagine our teacher's feet to be hot and tired at this time of year, so have chosen something that I hope to be relaxing, refreshing and restorative! To make this foot scrub you will need 2 cups Epsom salts, 1 cup Coconut Oil, 10 drops Peppermint Essential Oil, and 1 tablespoon chopped fresh Rosemary. You can find out how to make this scrub over at Craft Invaders. These are all ideas that I've either done, or know someone who has and I don't think any of them are too hard or expensive to do. So, if you have a last minute gift, avoid the shop and hit the store cupboard and rustle up something yourself. 8 comments on "Last Minute DIY Christmas Gifts"
I love DIY Christmas gifts! I’ve done home made chutneys this year! I definitely want to try the foot scrub! These look devine😍 They look as though they could have been brought from a shop! I hope you saved a couple for yourself.